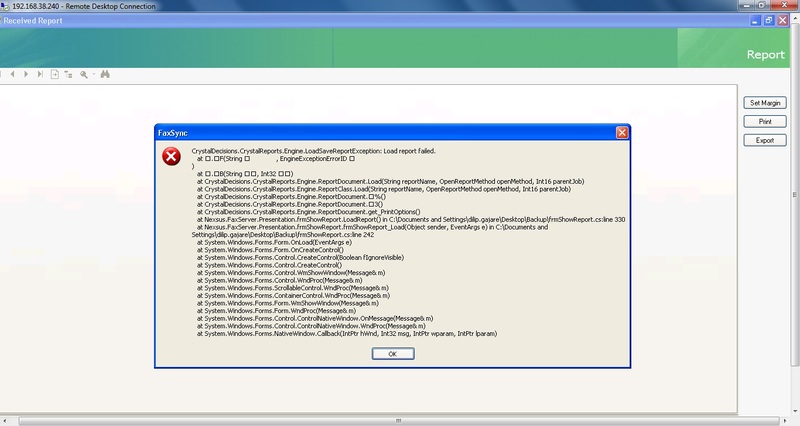 I am getting an error Load to fail report in my c sharp crystal report application. the error is some what like below mentioned. Well the error is pretty straightforward. You're missing an assembly in your build folder, or one of that assembly's dependencies is missing. Unfortunately I don't know anything about Crystal Reports so I can't be of any more use. It's probably just that you're missing the DLL from your application folder. This is a C# forum, not really a general software support forum. If this is your application, the sensible thing would be to debug through your application as you're repeating the steps to make the error occur. If this isn't your app, post in the Hardware/Software section under Windows. yeah the application is written and it is deployed some where on other machine. however the code is running fine on my system. So tell me if you can suggest something helpful. Getting error message in Interest Calculator.